Meet Brad Sinclair. Your Florida Motorcycle Accident Attorney. Motorcyclists, for obvious reasons, are far more likely to suffer serious injury and permanent disability in motorcycle wrecks and crashes, than those involved in auto accidents. If serious injuries are involved, medical expenses can easily exceed the value of the property damage alone. Sinclair Law will assess your motorcycle accident according to the damages that you’ve suffered and will help you recover fully from your losses in a motorcycle accident. 1. Actual damages are those damages that can be proven because they are actual costs that have been paid as a result of the accident. These costs typically include both medical and non-medical expenses. Medical special damages include ambulance expenses, doctors, hospital expenses, surgery, diagnostic tests, canes or crutches, wheelchairs, prescription drugs, and various medical supplies. Non-medical damages are for the cost of things or services required as a result of an accident. For example, you might have lost your glasses in the accident, or you may require outside transportation (i.e. taxi) to and from medical appointments. 2. General damages are damages that can’t be proven to an exact dollar amount. There is no set formula for determining their value—pain and suffering, mental distress or loss of a loved one. 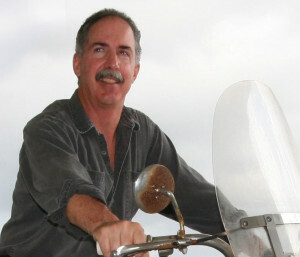 Florida Motorcycle Attorney, Brad Sinclair—an avid motorcycle rider and an active Lifetime Member of ABATE (American Bikers Aiming Towards Education)—genuinely understands the challenges motorcyclists face on the road and a rider’s innate desire to get back on the road quickly, after an accident. He is personally involved in every case. Staffed with former claims adjustors, our firm is able to provide sound insight into the insurance industry: knowledgeable in how they process claims and perceptive to how they value cases. We will negotiate property damages and provide advice on medical professionals to help speed your recovery, and assist you on the back end negotiating medical coverage. Sinclair Law knows the particulars of Florida Motorcycle laws and insurance regulations that help you obtain maximum compensation for your Motorcycle Accident Damages. See what your motorcycle accident case is worth below or call us at 321.253.4200. There are no unimportant clients or unimportant cases to Sinclair Law. We are never too busy to answer your questions. You have found one of the best Florida motorcycle accident lawyers in Brad Sinclair. Call us today!